One company's quest for open hardware has doubled the Free Software Foundation's list of Respects Your Freedom-certified devices. Open hardware is still hard to find. Usually, the best you can find is devices that run free software – and even they are scarce. 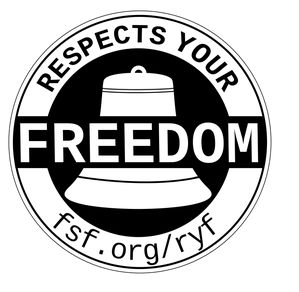 The best resource is the Free Software Foundation's Respects Your Freedom (RYF] certification  (Figure 1), which for several years has maintained a small list of devices that run free software. In June 2017, the RYF list more than doubled as the Romanian company Technoethical, formerly known as Tehnoetic , received 16 certifications for its products. Figure 1: Technoethical sells 16 of the 26 devices that the Free Software Foundation (FSF) lists as completely free-licensed. Technoethical was founded by Tiberiu Turbureanu in 2013. In an interview with Linux Pro Magazine, Tiberiu tells how he discovered free software as he was finishing high school. Soon, he was reading about the GNU/Linux philosophy and becoming involved with organizing free software events, first with Ceata (Ceata elibereaza artele si tehnologiile actuale, a recursive acronym meaning "Ceata liberates art and current technologies") . In 2013, Ceata was incorporated as Fundatia Ceata, which organized free software events in Romania and Moldova. "Sadly," Turbureanu says, "by the end of 2013, it was clear that the donation-based approach of our organization wasn't getting us anywhere, so I had to try something else if I wanted to keep fighting the good fight. So I decided to build a small online shop to sell devices compatible with fully free software." The company's first product was a mini Atheros-based WiFi adapter. However, as time passed, and free software advocates, Florentin Dimitriu and Dumitru Ursu, became more involved in the business, Technoethical started expanding its product line, consulting the local free software community as it grew. "Occasionally, members of the free software community would ask why we didn't seek the Respects Your Freedom certification from the FSF," Turbureanu says. "The reason was that we didn't have spare laptops to send overseas for the FSF to review. We simply lacked funds for that. However, [Dimitriu and Ursu] had the chance to attend LibrePlanet 2017 in Boston, where the FSF's offices are located, so we made a financial effort to buy Technoethical devices to bring to the FSF. This is how, three months later, we were able to more than double the list of the RYF-certified devices." The process of become RYF-certified requires sending both sample devices and source code and documentation to be reviewed by the FSF's licensing team. Turbureanu explains that "we answer all their questions and we implement their suggestions as we receive them. It is a lengthy process that requires much attention to detail. It is this process that makes the RYF certification trustworthy." Technoethical sells a number of different products. 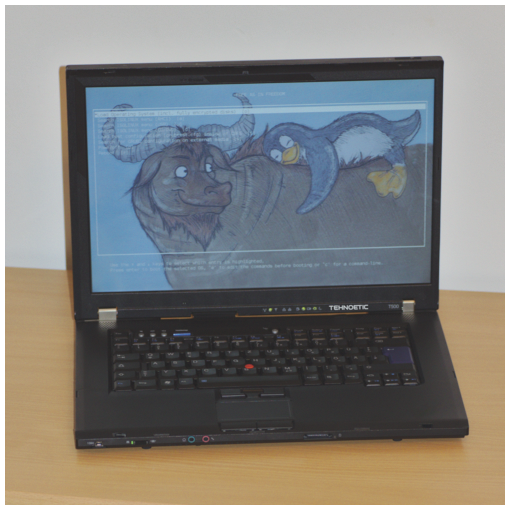 Besides wireless adapters and antennae, the company sells a variety of refurbished laptops, including the X200 tablet/laptop (Figure 2), which Turbureanu describes as "the first commercially available laptop/tablet convertible with a free BIOS and free operating system." Figure 2: Technoethical refurbishes laptops and installs a free BIOS and operating system on them. "We'd prefer working exclusively with new hardware, which is easy to source," Turbureanu says, "but hardware manufacturer[s] embed more and more restrictions in their recent products. These restrictions make it harder for the free software community to liberate them. Our ethical stance doesn't allow us to sell in good conscience hardware encumbered with nonfree software." For example, recent Thinkpads "reboot after 30 minues if the BIOS firmware is missing the Manageability Engine nonfree blob." "As part of our refurbishing process," Turbureanu continues, "we look for sellers that offer Grade A devices. We test them thoroughly, we fix them if we find any hardware problems, and replace software-freedom-violating components with ones that are compatible with software freedom. For instance, we replace the Intel WiFi cards that require nonfree firmware with similar, high-end Atheros-based WiFi cards that work with a fully free driver (ath9k)." Additionally, the BIOS or UEFI is replaced by the free-licensed Libreboot , and the computers are preloaded with Trisquel , one of the distributions listed by the FSF as being completely free . Technoethical also sells several refurbished Samsung Galaxy S2, S3, and Note 2 N7100 smartphones (Figure 3). Replicant, a free version of Android , is installed on these phones, but, as I write, all use a non-free bootloader and operating system for the modem. Nor do WiFi and Bluetooth work without adapters. Technoethical spells out all these limitations on the product pages and is working with Replicant to overcome these limitations. 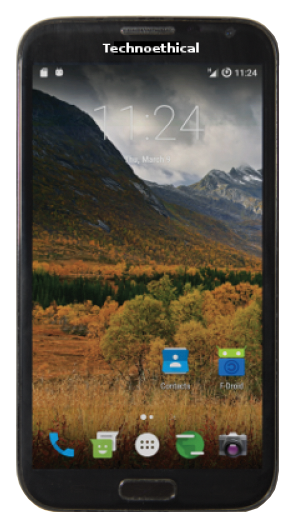 Figure 3: Technoethical's refurbished phones are not completely free, but they are as free as current technology permits. In fact, the company donates 10 percent of the sales of these smartphones to Replicant. The company has submitted patches to Replicant to enable support for freedom-respecting WiFi, which appears in Replicant 6.0, the latest release. Meanwhile, according to the website, Technoethical's phones have the advantage of extra RAM that is faster than unrefurbished S2 and S3 smartphones. Technoethical's N2 phone/tablet also closes a back door discovered by Replicant developers in 2014, making it more secure than the original device. Unsurprisingly, the complete freeing of these phones is Technoethical's "highest priority," according to Turbureanu. "We are free software users ourselves," he adds, "and we miss many types of devices that don't work completely with free software yet." As might be expected, Technoethical's customers are mostly "people who have prior experience with and a pretty good understanding of free software," Turbureanu notes. "They're not necessarily professionals in software development or system administration, but they have technical skills they have acquired on their own." Recently, though, the company has noticed an increase in customers who lack detailed knowledge of free software or GNU/Linux but are concerned about privacy and security. Other recent customers have been academics who want free devices for their research. The prices listed on the company website are expensive, but, for whatever reason, customers are prepared to pay the extra money for devices that are either free or as free as possible. "As opposed to the average business, Turbureanu says, "we're not only trying to sell more features, but more freedom. Our Number One priority is freedom. If some parts of a system are not free software, we sacrifice the features and user convenience by not shipping our hardware with that non-free software. This [policy] might look counterproductive for the average business, but we inform our potential customers about the missing features, and we explain why it's important they don't enable them by installing non-free software. And we collaborate with other vendors, since we are all part of the same community, and one's accomplishments in free software are in everyone's benefit. We try to do our part." For now, Technoethical lacks the capacity to design its own hardware. However, Turbureanu sees the company's product line as an important stage in the development of free hardware. "We don't have the big money of corporations that manufacture mainstream hardware," he says, "but through volunteering and cooperation, we believe we can accomplish more than the divided world of proprietary hardware manufacturers. The growing list of RYF-certified hardware stands proof of that." From that perspective, Technoethical's efforts are a good start in a process that is likely to take years to realize. All-free Android fork longs to support more devices.